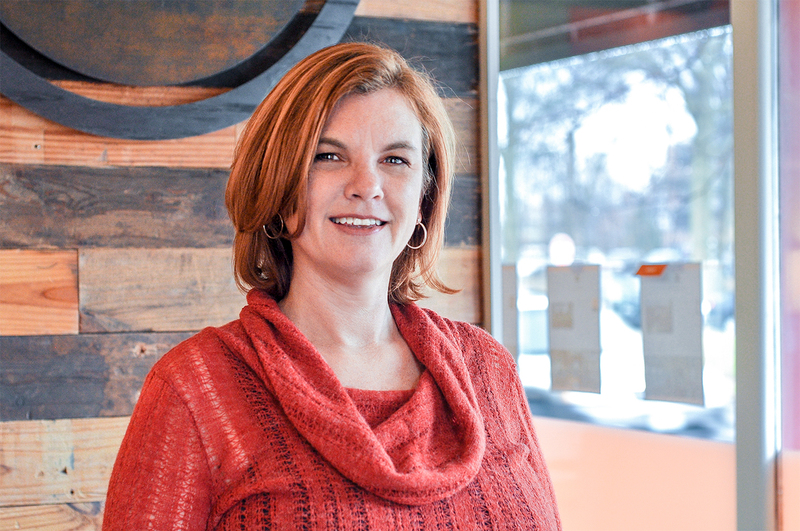 Ever since I saw the Reese’s peanut butter cup commercials as a kid, I’ve been a fan of peanut butter and chocolate (see a classic 1970s commercial at the bottom of this article). Brownies were on the dessert rotation often. My fondness for them started with being handed the batter bowl to lick…something I was never allowed to do with cakes for some unknown reason. Years later, I discovered that I like chocolate chip dough best when it is either raw or combined with other ingredients. The plain chocolate chip cookies are just a bit boring to me. Surprisingly, I haven’t actually played with combining these ingredients. But Pinterest has inspired me and I’ve saved all 3 of these recipes to try. Just looking at the picture, I know I’ll like this one. The biggest challenge will be to not overcook the brownies since I like my brownies fudge style and they will cook up quick in a muffin tin. I can’t keep peanut butter in the house, because I can finish off a jar in a couple of days. 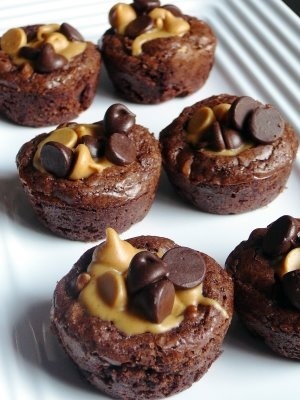 These brownie seems like a great way to get my peanut butter fix without overdosing. This recipe has to be a winner. 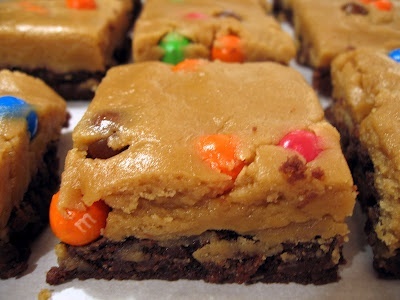 When I make it, I will probably go with a 9×13 pan, patting down the cookie dough first. 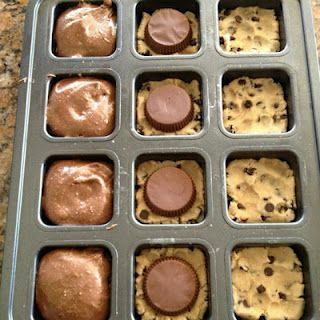 Then I’ll spread a layer of chopped peanut butter cups so you get some in every bite, and then top it with the brownies. My method would eliminate the need for a special brownie pan and keep most of the pieces soft on the edges…my preferred way to eat a brownie.